A former data engineer for Schlumberger with a B.S. in Physics from the University of Texas, Shari met her primary mentor, Lee Mannix, in 1998 when she went to him for help with her dog’s aggression issues. Shari soon realized that any dog can change, but that owners must be willing to change as well. With this realization, Shari was not only able to successfully work with her dog Schrodi, she also became Lee Mannix's first intern, launching her into a career in canine behavior and training that has spanned more than 12 years. During these years, Shari had been fortunate enough to study with canine behaviorist, John Rogerson, and with the founder of the Tellington-Touch method, Linda Tellington-Jones. 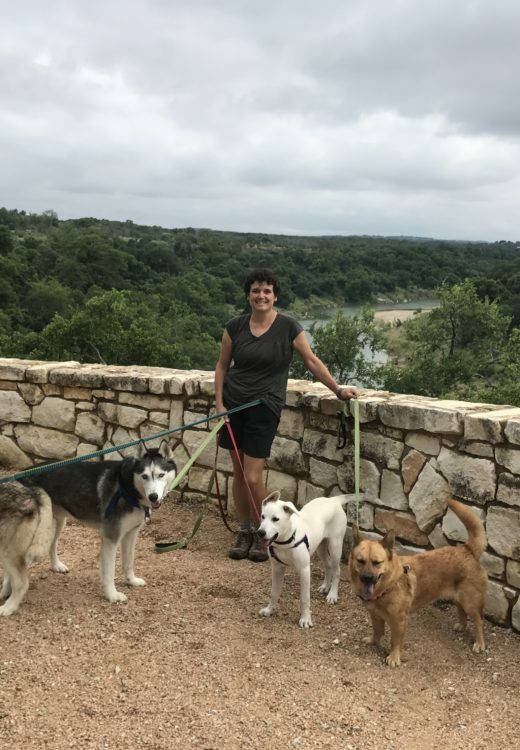 Shari is a seasoned canine behavior consultant and trainer, specializing in basic through advanced companion dog training, agility, scent sports, aggression, and reactive behavior recovery. 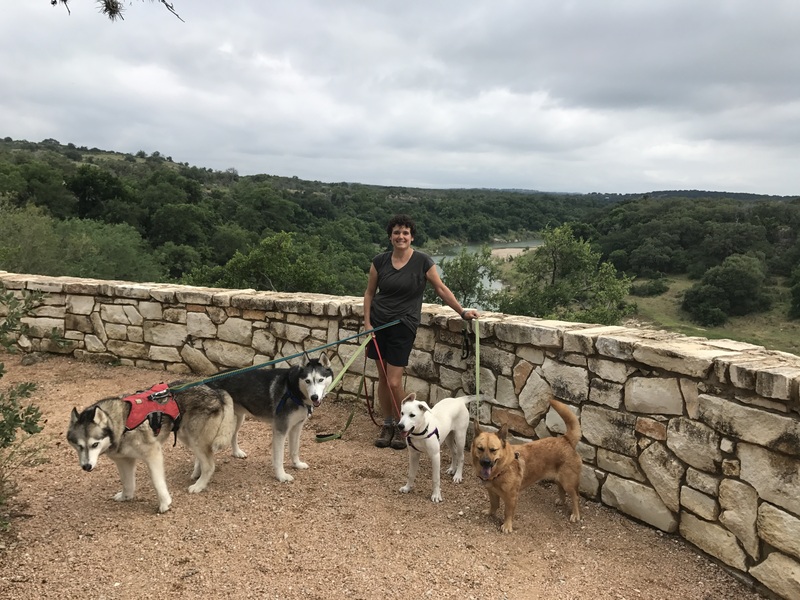 Shari is a Certified Professional Dog Trainer –Knowledge Assessed, a professional member of the Association of Pet Dog Trainers, an elevator for the Canine Good Citizen program, as well as an Animal Behavior College Mentor. Shari is also a Tellington TTouch Practitioner working on expanding The Canine Center's capabilities of creating change in a gentler, softer way. Shari lectured at Austin Community College for many years and still offers seminars at the Austin Animal Center. Shari also spent 11 years at the Animal Trustees of Austin Spay and Neuter Clinic, where she was a veterinary technician. When not working at The Canine Center, She shares her time running week long summer seminars in the cool temperatures of the Rockies, training dogs in the mountains. In addition to hiking, backpacking, and camping with her dogs, Shari enjoys yoga, skiing and skijoring (cross country skiing while being towed by a dog), scuba diving (without dogs! ), wine tasting, and eating good food.